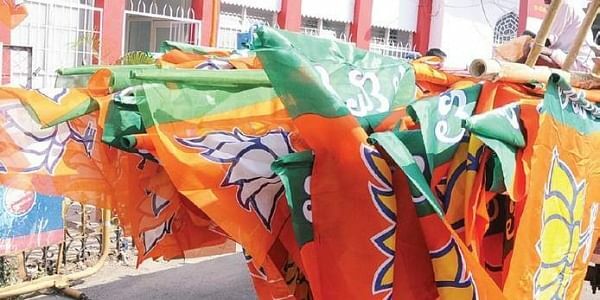 Ishrat Jahan, one of the petitioners in the triple talaq case, has joined the BJP, the party's state unit general secretary Sayantan Basu said today. KOLKATA: Ishrat Jahan, one of the petitioners in the triple talaq case, has joined the BJP, the party's state unit general secretary Sayantan Basu said today. "Ishrat Jahan joined the BJP at our Howrah office yesterday," Basu told PTI. Sources said Ishrat was felicitated by the Howrah BJP unit yesterday and inducted into the party. Basu said a state-level programme to felicitate her was yet to be organised. Ishrat was one of the five petitioners in the triple talaq case. Her husband had divorced her over the phone from Dubai in 2014 by uttering 'talaq' thrice. The controversial Islamic practice was struck down by the Supreme Court on August 22. West Bengal BJP chief Dilip Ghosh, who is touring various districts in the state, said he had also come to know from party sources that Ishrat had joined the BJP in Howrah. Repeated calls to Ishrat for a reaction went unanswered.